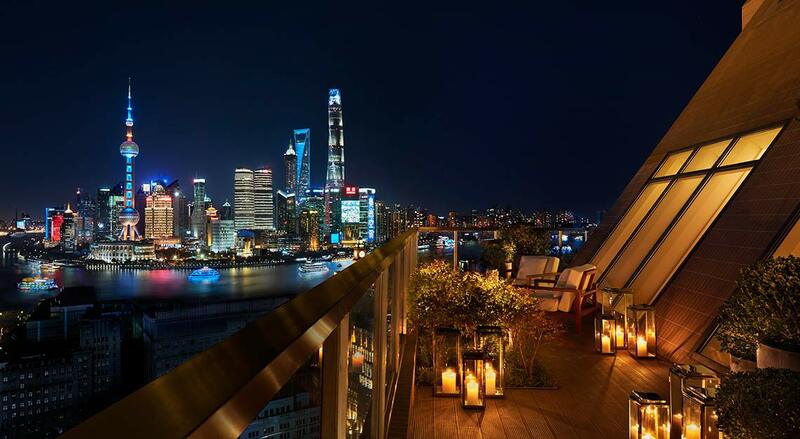 China’s Shanghai is home to a slew of world-class luxury hotels, and the numbers will only continue to grow — leaving those visiting the city (be it for business or leisure) spoilt for choice with its bountiful accommodation options. 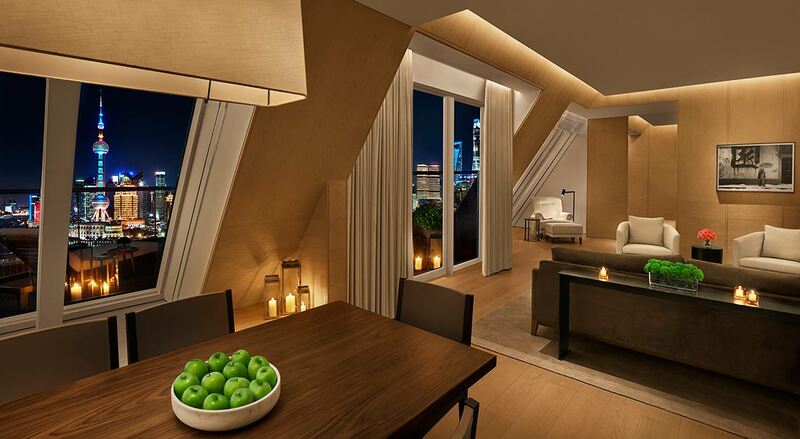 Joining the list is The Shanghai Edition, a 145-key property that will officially open its doors in October this year. The compound is made up of two buildings, including one that used to be the headquarters of Shanghai Power Company. 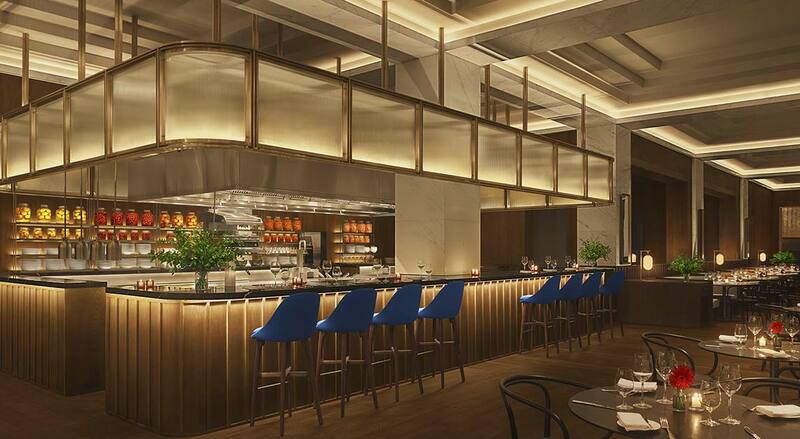 It’ll be home to the communal areas of the hotel such as the welcome lobby, Michelin-starred chef Jason Atherton’s new restaurant Shanghai Tavern, a top-notch spa facility and rooftop bar. To its side sits a newly-built skyscraper, where all rooms and suites are located. 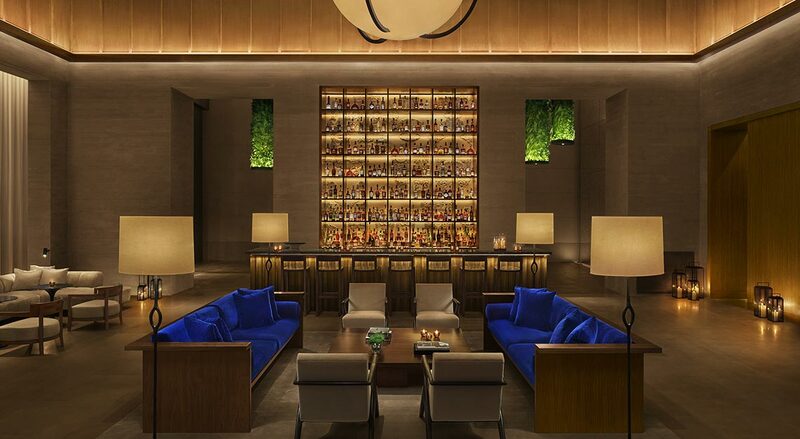 The social areas are designed to reflect a traditional English gentleman’s club. Guests are welcomed on the cobblestone driveway and led to the lobby that’s fitted with grey stone walls and a light fixture as a centrepiece. 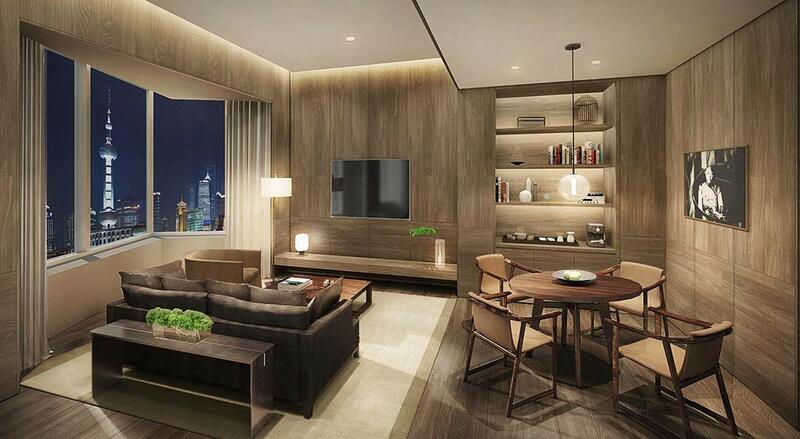 The rooms and suites, on the contrary, exude a more laidback ambience. 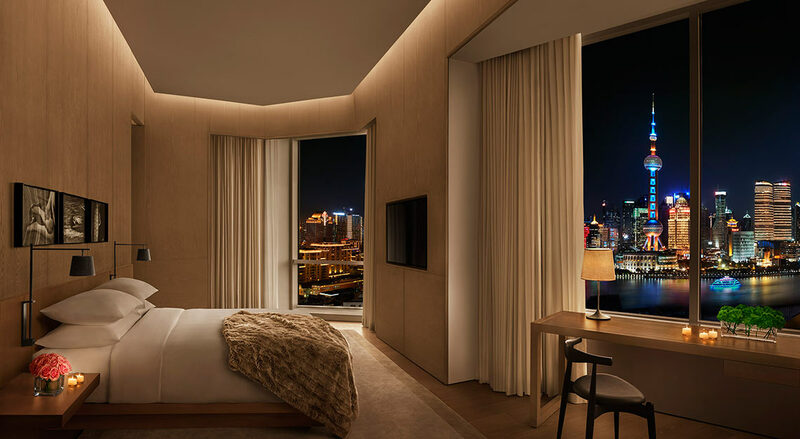 Beds are luxuriously finished with Anichini linen to ensure a restful sleep, and bathrooms are finished in white marble with black metal detailing. The floors and walls are bathed in soothing hues of light oak to help guests to retire for the evening in peace. 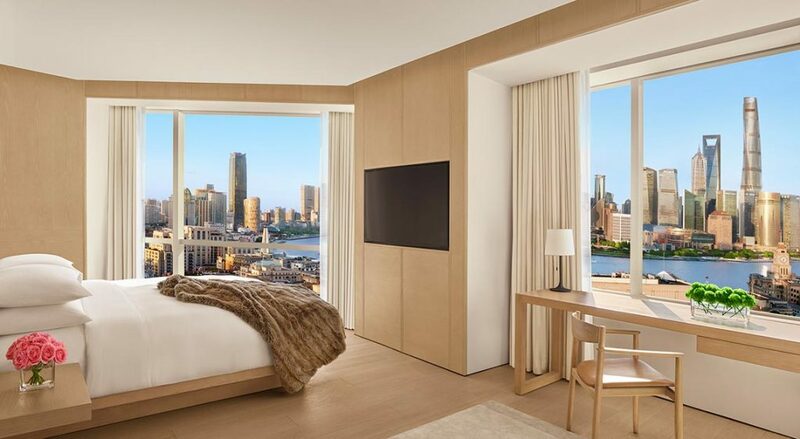 Windows are also tilted at an angle and give you a broader view of what’s below while granting paranomic vistas of Shanghai and The Bund. 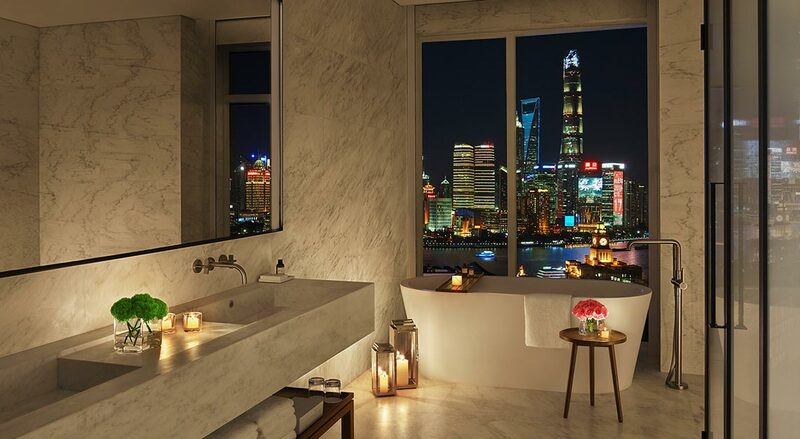 Don’t leave without taking a dip in the hotel’s swimming pool on level five, which has been modelled to look as though it was carved out of a Pietra Serena sandstone from the ancient Roman mountains. If you’re one for keeping your fitness in check even while traveling, a gym on level seven offers guests round-the-clock access, and even features an outdoor terrace for cardio, meditation, tai chi and yoga sessions. Culinary options are also aplenty here. 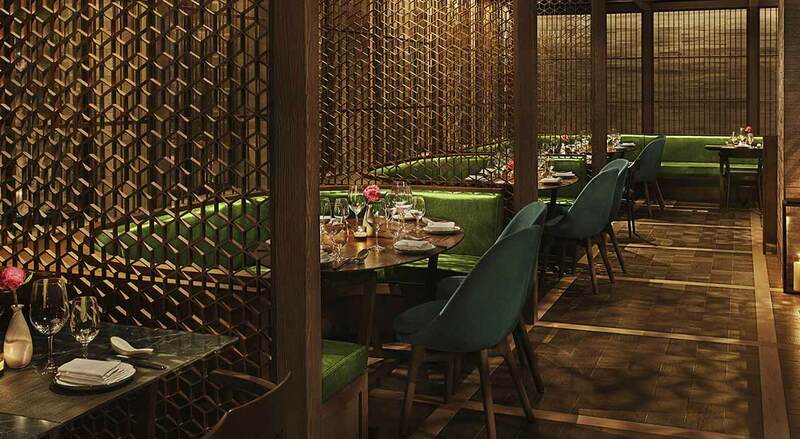 Start your evening at Punch Room, a modern rendition of London’s 19th-century private clubs before making your way to Jason Atherton’s Japanese lzakaya-inspired restaurant Hiya that draws inspiration from his Sosharu restaurant in London. Continue your conversations at rooftop bar simply called Roof, which offers contemporary and classic cocktails, and doubles as a vantage point for catching sunsets and city lights.